On the auspicious day of ‘International Day of Non- Violence’, various North East bands came together to appeal for Harmony in the North East Region at KASSA Indoor Stadium, Diphu on October 2 last. 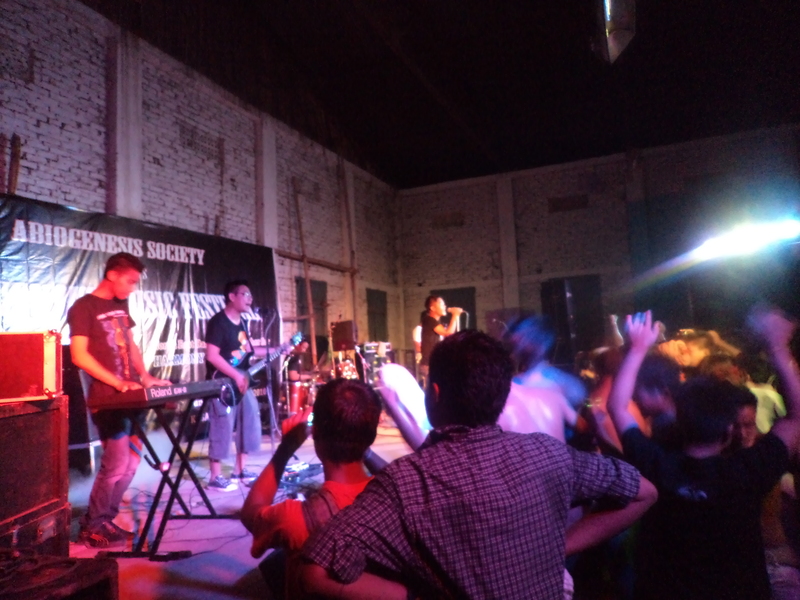 The 3rd Indigenous Music Festival was organized by Abiogenesis Society, Dimapur in collaboration with North East Zone Cultural Centre, Ministry Of Culture, Government of India. 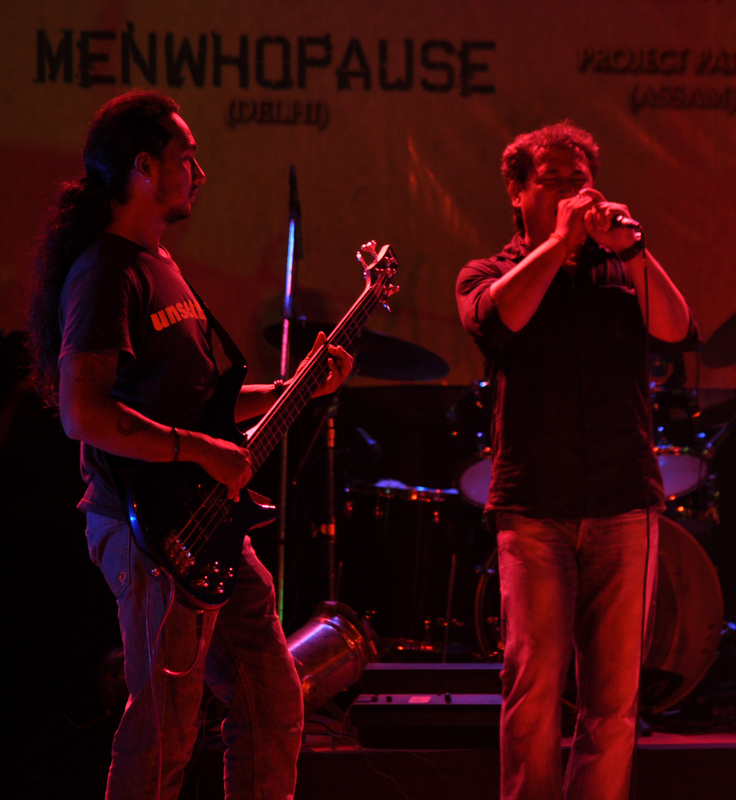 The previous 1st and 2nd Indigenous Music Festival was held at Dimapur in 2007 and 2009 respectively. The bands that performed in this year’s festival are Ragga Muffin (Diphu), Rokrar (Diphu), Maestro (Halflong), Jambili (Diphu) and Incipit (Nagaland) with Premson Bey taking the microphone as host for the show. Through this festival, Abiogenesis Society intends to promote indigenous and original music of the North East and at the same time create a platform and showcase upcoming and existing bands and where participating musicians and bands from the region can interact and get to know each other. Indigenous Music Festival will be an annual event so interested musicians and bands who are into original music can look out for the announcement next year through media. Violinist Minoti Khaund andDDaughter Sunita Bhuyan performed the invocation for the Gandhi Jayanti ceremony at Mumbai recently. They presented Vaishnava Janako, Bapu’s favourite bhajan, followed by Raag Khamaj and concluded with a rendition of Raghupati Raghava. GUWAHATI, Oct 9: If you thought that with the end of Durga Puja the festivities were also over, you better think once again. 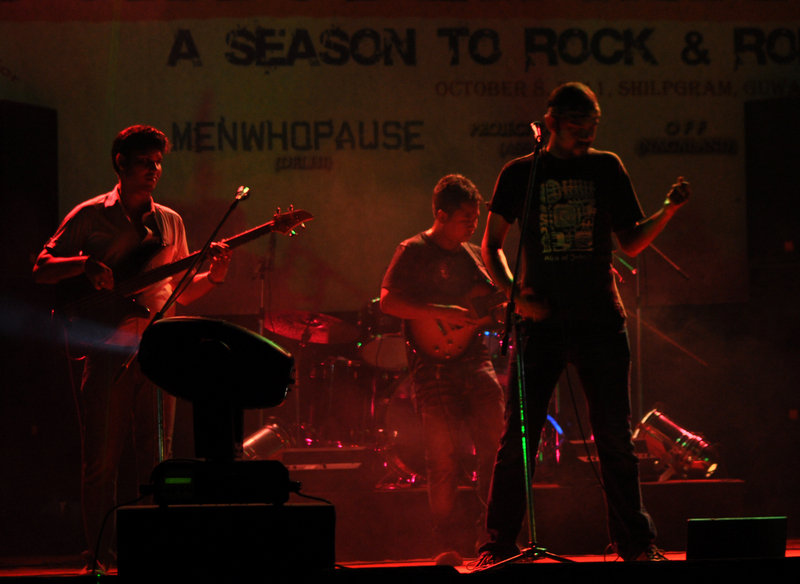 Indian psychedelic rock sensation Menwhopause carried the puja fever to a different pitch altogether in the ROCKTOBER RIFFS – rock of the ages concert held at Shilpgram yesterday. 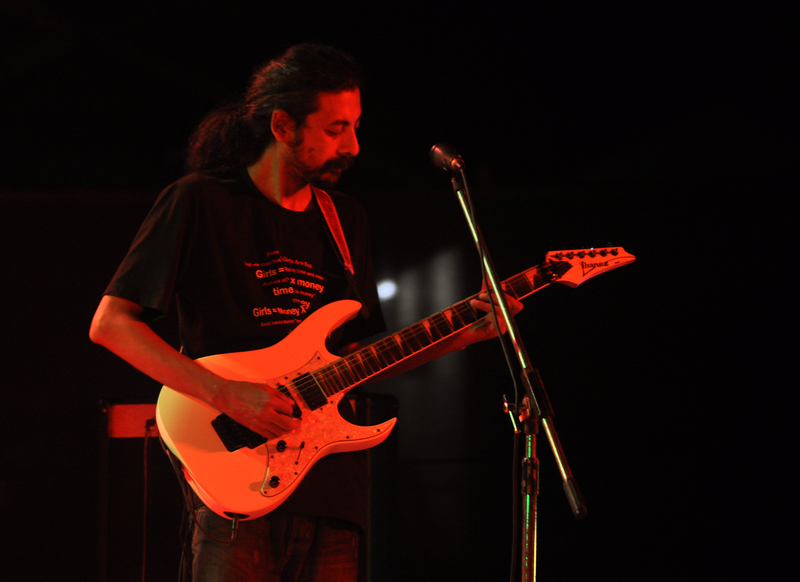 The concert marked the formal countdown to the 1st Guwahati International Music Festival. The event was formally inaugurated by Secretary to the Government of Assam, Cultural Affairs, Youth Welfare and Sports Department Santanu Thakur. 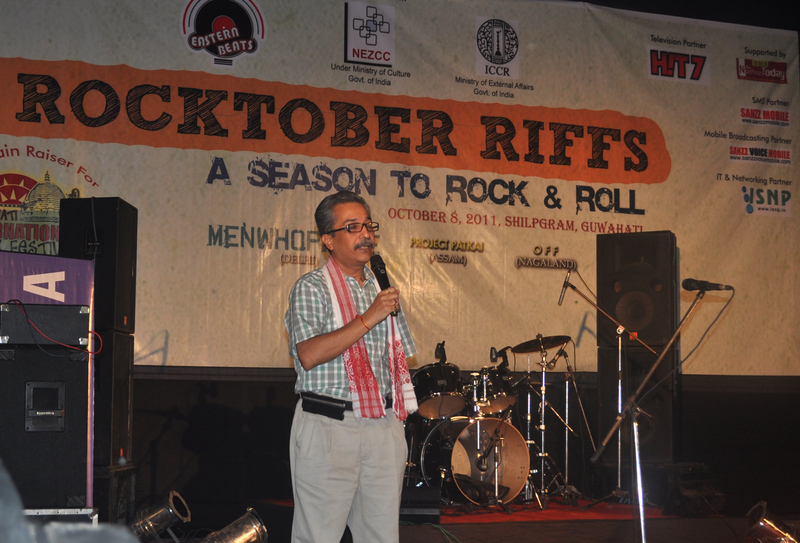 Lauding the efforts of Eastern Beats Music Society towards the promotion and preservation of musical and art forms of the region, he spoke at length about the approaching Guwahati International Music Fest (GIMF). “We are all trying to contribute our might to make this landmark event a huge success,” he said. GIMF, which will be participated by musicians from UK, Nepal, Indonesia, Bollywood, Goa, Kolkata, Bhopal and folk musicians from different parts of the Northeast, is being organized by EBMS in collaboration with the North East Zone Cultural Centre, Dimapur, under the Ministry of Culture, and with the support of the Indian Council for Cultural Relations (ICCR), under the Ministry of External Affairs, Government of India. 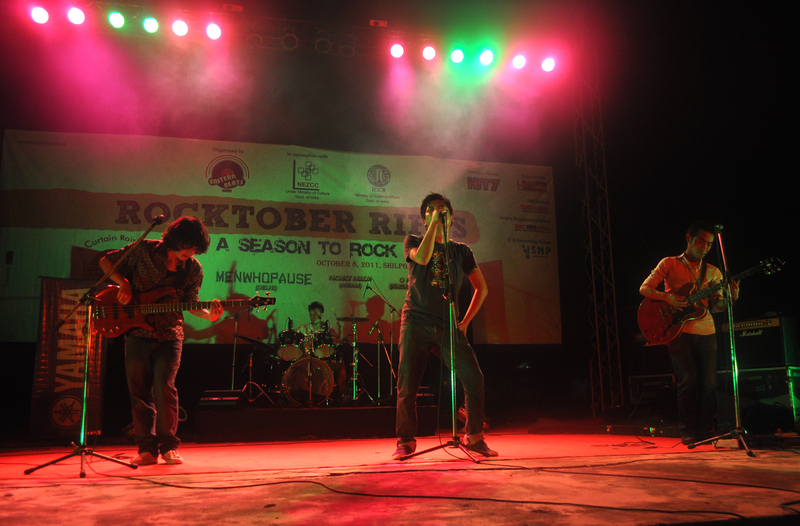 Guwahati-based classic rock bands PROJECT PATKAI and STAGS also performed a set of popular covers, much to the delight of the crowd present – a mixture of both the older and younger generations. 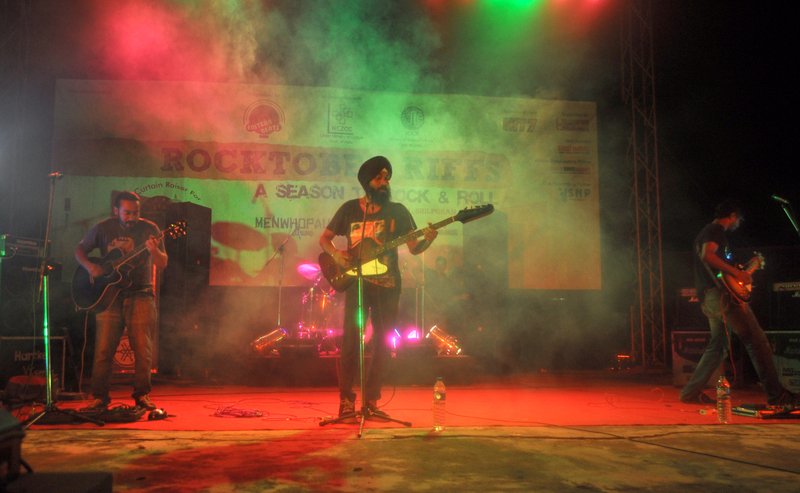 “Whether it is the alternative-meet-psychedelia sound of Menwhopause, or the protest brand of retro-rock as espoused by OFF, Rocktober Riffs was rock as it is meant to be,” says Eastern Beats Music Society secretary and creative director of the 1st Guwahati International Music Festival Aiyushman Dutta. To be held from December 2 to December 3, more than 30 top artistes from all over the globe are scheduled to land in the city for 48 hours of cultural exchange and sharing of ideas through music. “Besides musical performances, we also have events like music workshops, seminars, lecture-demonstration sessions, film screening camps, etc lined up,” said Dutta. 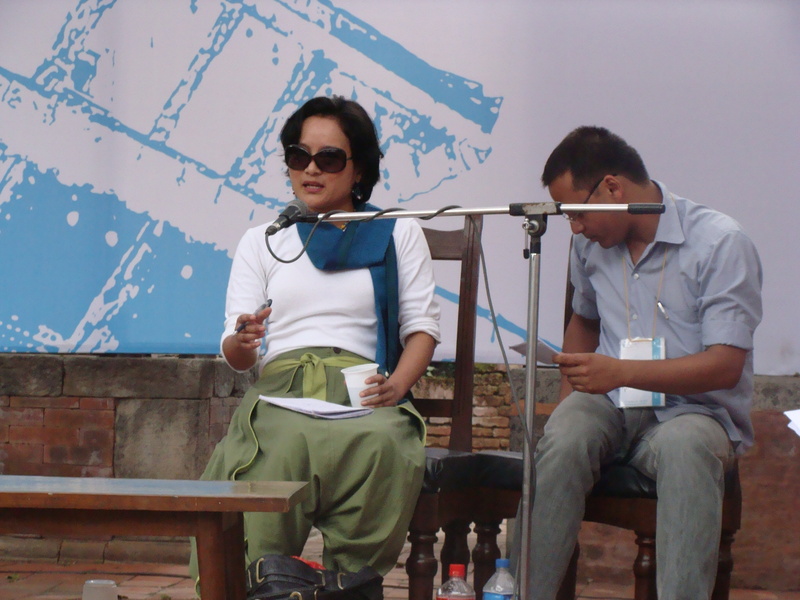 Susan Waten, popular columnist and writer from Dimapur, Nagaland, was one among the ten invited delegates to attend Nepal’s first ever international writer’s fest. 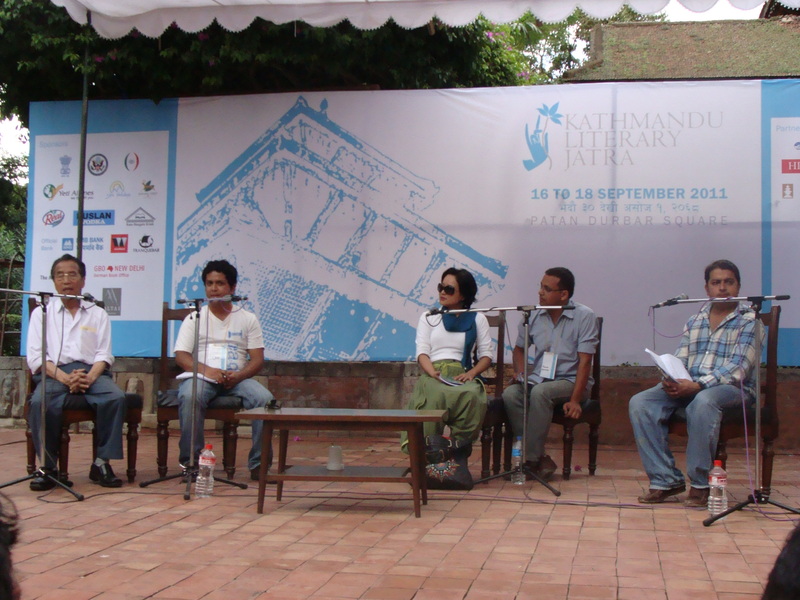 The fest known as Kathmandu Literary Jatra was held at the historic Patan Museum inner courtyard last month. Kathmandu Literary Jatra was masterminded by and conceived in the lines of the Jaipur Literature Festival by Sujeev Shakya, CEO of BEED, a Consulting & Advisory firm. Namita Gokhale, the established writer and publisher from Delhi, was the Festival Advisor. The fest brought in ten select international writers from countries such as India, Bangladesh, Pakistan and the UK on a common literary platform with fifty writers and poets of Nepal, and was attended daily by packed audiences numbering in thousands. Various workshops, readings and thematic discussions on topics pertaining to Nepal and South Asia in both the socio-political and literary contexts were held. Susan Waten shared the stage with Devendra Bhattarai (author of Registan Diary, a critically acclaimed book on Nepali migrant workers in the Middle East) and the revered Indra Bahadur Rai (a pioneering Nepali writer and literary critic who won the Sahitya Akademy Award in 1976 for the book Upanyaska Adhar Haru) for the assigned topic, “Nepali Literature beyond Nepal.” She spoke about the well-known Nepali writer and social activist (who also contested elections against J.B. Jasokie in Nagaland), Hari Prasad Gorkha Rai who lived and died in Kohima. Taking into consideration the valuable input given by writer Lil Bahadur Chetri of Guwahati, Ms. Waten highlighted on the nature of “adaptability” that the Nepalis generally exhibit in their Diaspora. 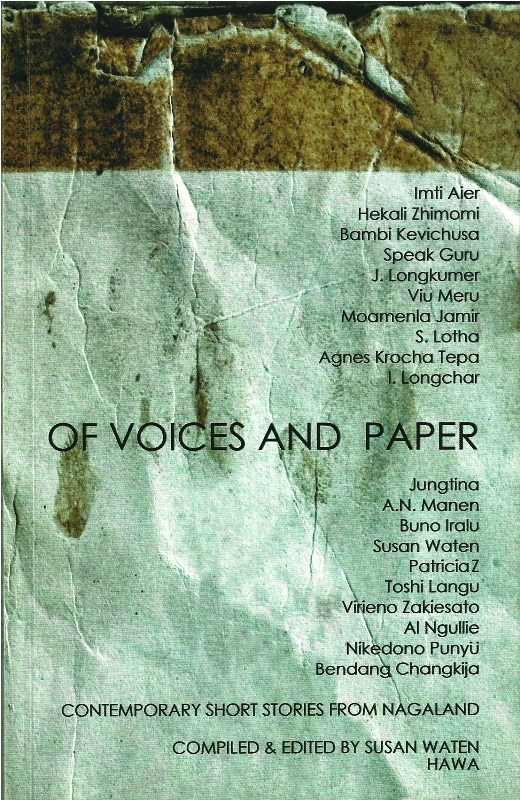 To her credit, she has published a poetry book called, White Spirit and also compiled and edited a book of contemporary short stories by 20 writers from Nagaland entitled Of Voices And Paper, both backed by the North East Zone Cultural Centre, under the Ministry of Culture, Government of India. She has written a book for the Nagaland Beekeeping and Honey Mission called, Rock Bee Honey Harvesting in Saramati Range at Kiphire District. Besides contributing to newspapers and working on various government book projects, she runs an organisation called Holiday Abode for Writers & Artists (HAWA), which provides a platform for creative expression under the motto: spiritual renewal for artistic inspiration. At the Jatra, her presentation was well received and many from the audience came back-stage to meet her. A number of them showed keen interest in the literature of north east India, and the possible collaboration. The Jatra was a huge success in terms of the literary and intellectual exchange between the invited international delegates and the information-hungry audience, and also the popular uplifting response of the country to it’s first-ever event of this kind and magnitude. To mention some of the delegates who graced the Jatra: Tarun Tejpal, Journalist and Publisher (his book The Alchemy of Desire won Le Prix Mille Pages); British Historian William Dalrymple ( White Mughals won the Wolfson Prize for History, Nine Lives: In Search of the Sacred in Modern India won the 2010 Asia House Award for Asian Literature); Alka Saraogi (her novel Kali-Katha: Via Bypass won her the Sahitya Akademi Award); Mohammed Hanif (A Case of Exploding Mangoes was longlisted for the Man Booker Prize and shortlisted for the Guardian First Book Prize and the Commonwealth Writers’ Prize).